Kebabs are skewered meats cooked on the grill. 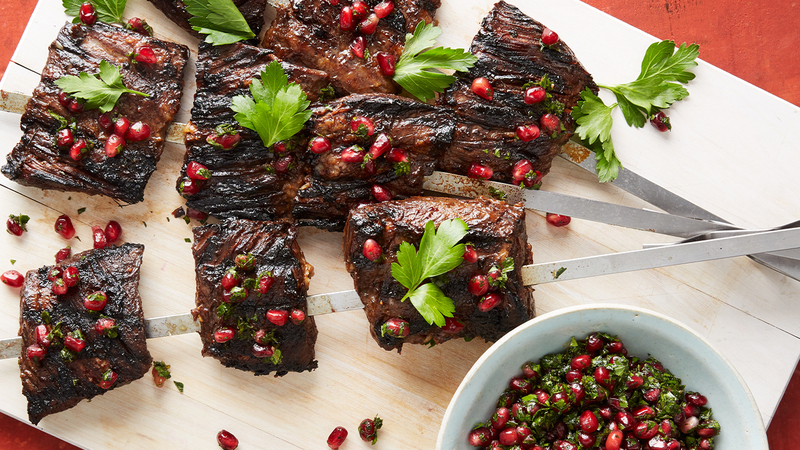 Martha gets creative as she threads flavor-packed ingredients onto each skewer with pomegranate skirt steak kebabs, lamb kebabs with yogurt-mint sauce, beef, mushroom, and millet kebabs, and saffron-yogurt chicken kebabs. The best part…each inspired kebab is easy and fun to make!